To produce these images individual colours are defined as 'genetic sequences', realised digitally as a string of 1s and 0s. 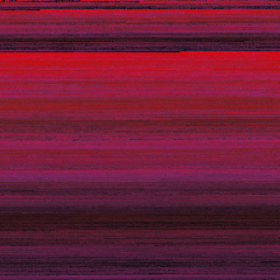 Each is a kind of 'creature', encoded by a binary DNA, but then expressed as the usual RGB or HSV colourmap values. Because of this representation, colours can be mutated and crossed with each other within the computer to form new variations. Oversized pixels, rastered onto the image plane, are used to record these colours as they are created.